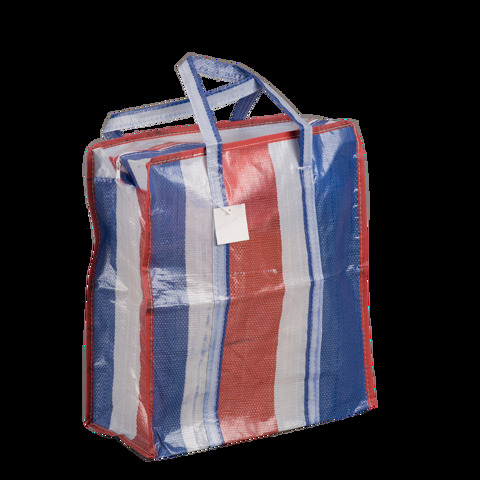 Shopper Bag Striped 38X34X15Cm. 38 x 34 x 15cm. Blue | White | Red Stripe With Red Trim. PE 115gsm. 115G Packaging: Bulk Packed with Swing Tag.